It’s once again that time of year where we try our best to stay up until the clock strikes midnight, saying “so long” to one year as we welcome in the next. Whether 2015 was a big hit or a total flop no longer matters as you now have a completely clean slate ready for 2016. If you’re like many people, you’ve got chalk in hand and are ready to fill up that slate with a list of resolutions to make this year, your year. And while we’ll raise a glass and say “cheers” to living your best year yet, we’re also well aware that resolutions aren’t always the best path to get you there. Make this year your best yet by avoiding resolutions that are too vague. Why? Well, similar to the quote, “The road to hell is paved with good intentions,” such can be so with resolutions. On the surface, resolutions sound like a good idea, but since people tend to lose sight of their new goals before January is even done, something is obviously broken. Setting goals and milestones is important, especially when looking to make positive changes with health and fat loss. 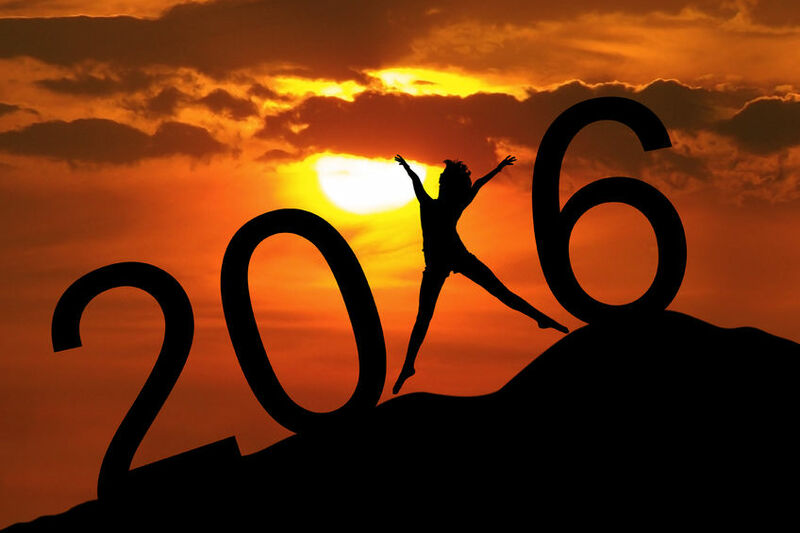 However, as you begin to make your list, avoid these resolution death traps to make 2016 a successful year. If you’ve watched any commercial-based TV lately, you’ve likely seen an increase in weight loss related products, plans, and programs. While that’s not to say these won’t work, it does mean staying on your toes. Marketers are paid to know their audiences, including knowing what’s on their minds. If your fridge is still filled with indulgent holiday leftovers and Santa didn’t eat his fair share of the cookies, your mind is likely focused on eating healthier and getting fit. Don’t fall prey to scams and “quick-fix solutions,” but instead remember that slow, steady, and consistent is a better get-healthy plan. 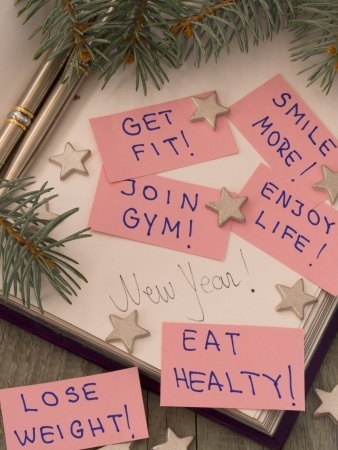 Resolutions typically mean you’re looking to change something about your life. Great…that’s the first step–and only the first step. Just saying it–or writing it down–doesn’t mean it will happen (unless you’re really lucky, perhaps). You need laid-out steps that will help lead you to your goal, including backup plans for when you are met head first with obstacles. Albert Einstein is quoted as saying, “Insanity is doing the same thing over and over again and expecting different results.” If you approach your resolutions the same way each year, and each year you fail, it’s time to do something different. Take a trip down memory lane to review how you’ve handled resolutions in the past. Identify one or two changes you can make for 2016, and see if it helps you to better stay on track. Resolutions, and goals in general, need to be as specific as possible in order to increase their chances of success. 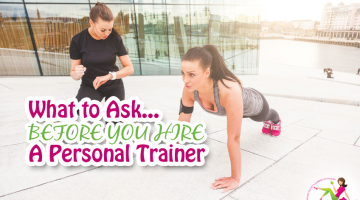 For example, losing weight is too vague a resolution, especially since one bout of winter stomach flu could mean meeting your goal…at least for a few days. Instead, focus on non-subjective goals, including milestones to celebrate along the way. Use measuring tapes and clothing to keep track of weight loss instead of scales, which don’t tend to tell the full story. Remember when mom used to ask, “If all your friends jumped off a bridge, would you do it too?” Well, the same can be said for setting goals. Just because your bestie wants to run a marathon as her 2016 resolution, doesn’t mean you have you to sign up to be her partner. Sure, if it sounds fun, then go for it. But if you’d rather get eaten by a bear than run from it, then maybe a marathon isn’t your thing. Find goals that you’re passionate about and that get you excited. You’ll stay motivated longer and be less likely to abandon your resolution altogether. What’s your 2016 resolutions? Share with others in the comments!